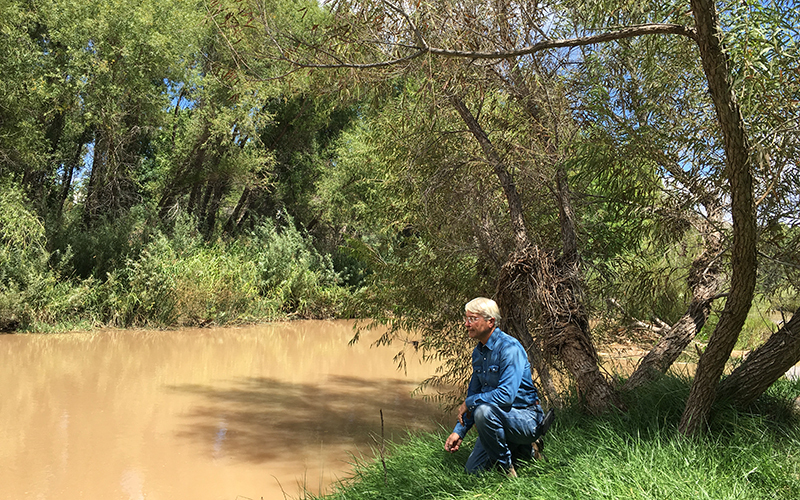 The Verde River continues to flow through the valley today, over land and underground, supporting agriculture, wildlife, forests and economies. It winds through Arizona’s transition zone between desert and plateau, making this one of the most biologically diverse areas in the American Southwest. Downstream the river becomes a valuable source of drinking water for metropolitan Phoenix. Increased groundwater pumping from the Verde headwaters in the Big and Little Chino Valleys threatens to reduce flows in the river, however, and populations of aggressive invasive plants have become entrenched throughout the river corridor. Salt cedar, Russian olive, tree of heaven, and giant reed spread rapidly, out-competing native forest and altering conditions there. 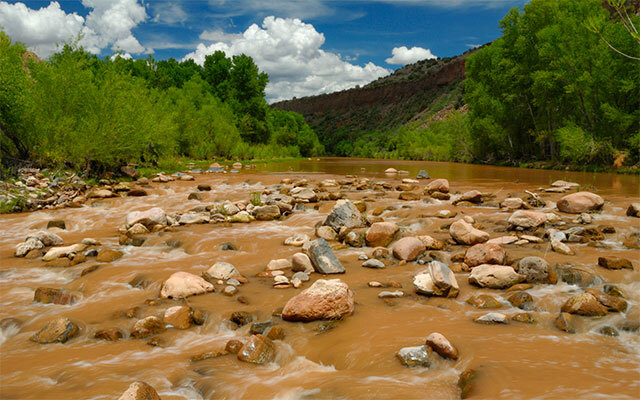 There are more organizations and agencies working on Verde River conservation than you can count on two hands. Some focus on water conservation, others on advocacy, and still others monitor conditions and gather data- on groundwater, surface water, wildlife, plants and seemingly everything that can be counted or measured within the Verde Watershed. Conservation groups intersect and overlap on myriad projects and initiatives, forming a complicated web of past and current conservation efforts. Funding, when available, is often parsed into smaller sub-grants, trickling down from larger agencies and organizations to smaller programs. Sometimes initiatives survive and build momentum. Other times the funding is exhausted in the planning stages- evaporating before it ever hits the ground, like rain sometimes will in the desert. 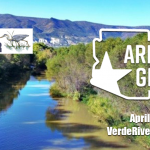 Friends of Verde River (Friends), based in Cottonwood, is home to eight different programs dedicated to promoting community stewardship of the river, restoring riverside habitats, and sustaining flows in the Verde. 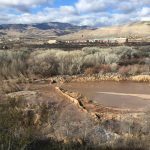 One of these programs, the Verde River Watershed Coalition (VWRC), is an initiative that has been building momentum and accomplishing boots-on-the-ground restoration since 2011. Friends staff work year-round to pull together funding from government agencies, non-profits, foundations and individuals, for training and employing crews each year. With landowners’ permission, staff and crews map, treat and retreat target invasive plants to make room for native trees and plants to become re-established. Salt cedar and giant reed often grow in dense, almost impermeable stands. This makes for hard, dirty work and long days alongside (and sometimes in) the river. But VWRC is a bigger story than that. It’s also a truce, a welcoming and a collective leap of faith. It’s a story about second chances, not just for the river but for people too. Chip Norton’s work as founder and former Executive Director of VWRC has been a full-time volunteer job since 2010. Norton shared his memories on the origins of VWRC, and what drove his commitment to all that it stands for. 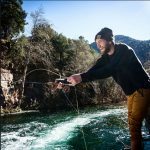 Ten years ago, Norton was volunteering for the Coconino National Forest on the designated Wild and Scenic portion of the Verde, as a river guide. He and his wife, Cathy Davis, bought land in Camp Verde in 1993, and built their home there. Norton’s volunteer river trips involved some trash and campfire cleanup, but a lot of the work was invasive plant removal. “I clearly remember a campfire where we were talking about all the hard work we were doing, and that if we didn’t somehow get a bunch of stakeholders together upstream, then what we were doing, really, was not sustainable. The concept got hatched there,” said Norton. Fortunately, the right idea happened at the right time, with funding from the Walton Family Foundation for developing a Cooperative Invasive Plant Management Plan and hiring staff. The Plan paired ecological goals with social and economic ones. Riverside forest restoration generated job opportunities. A second chance for riverside habitats became a second chance for those in need of training and a job. 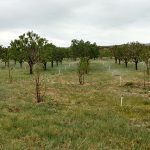 “And that was 8 years ago, and we’ve accomplished a heck of a lot, I think,” Norton continued, “We’ve treated more than 8,000 acres in the Verde Watershed”. While Norton’s “job” with VWRC never generated a paycheck, it generated other kinds of dividends. VWRC’s contributions to river and community began to grow in a totally new and unexpected direction when Norton met Gary Rideout, a local military veteran and entrepreneur who was looking to create a business that would provide housing and jobs for unemployed veterans. 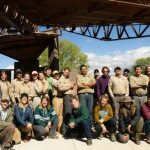 Thanks to Norton and Rideout’s chance meeting (and the vision and hard work of Friends staff) a field crew of veterans has been working on the Verde River for VWRC every season since 2012. In fact, the reliable annual paid fieldwork season with VWRC made it possible for husband and wife team Gary and Jenise Rideout to launch Vets4Hire, a Cottonwood-based business designed to be a replicable model for veteran focused workforce development. When not working on the river, Vets4Hire lines up off-season construction, landscaping and moving jobs for the crew members. Their motto: “Putting the words ‘Thank you for your service’ into action”. Jenise is Vice President, Office Manager and co-founder of Vets4Hire and its recently formed non-profit branch, Adopt-A-Vet. Her husband, Gary, is a former Marine and Vets4Hire co-founder and President. Their office is located at Adopt-A-Vet’s Patriot House in Cottonwood, which provides communal housing for veterans, including several of the Vets4Hire crew members. Patriot House is a c-shaped building, freshly white-washed and sunny, with a white gate and red, white and blue picnic tables in the center courtyard. It’s quiet during the daytime while the veterans are out working on the river. “Employment and affordable housing for veterans was always Gary’s dream, from the beginning, but it just didn’t happen right away,” Jenise explained. Once Vets4Hire was established, the Rideouts were able to purchase and rehab a building (now Patriot House) in 2015 with the help of a USDA Rural Housing Service grant. To be eligible for a bed, veterans must be either homeless or at risk of becoming homeless. Fully-furnished Patriot House offers four dormitory style bedrooms and a well-stocked communal kitchen. Work on a family unit is currently underway. Catholic Charities Community Services brings their affordable housing expertise to the equation by leasing the living space from Adopt-A-Vet. Catholic Charities charges tenants a modest rent, which includes utilities and internet, and assists the veterans in accessing various forms of housing assistance available locally to supplement what they can earn toward rent. The training and employment the crew members receive through VWRC and Vets4Hire, and the support of Patriot House are a launching pad for the veterans, some of whom have gone on to municipal jobs and even business ownership. AZCC’s Kevin Kennedy shares Borruso’s love of the outdoors. 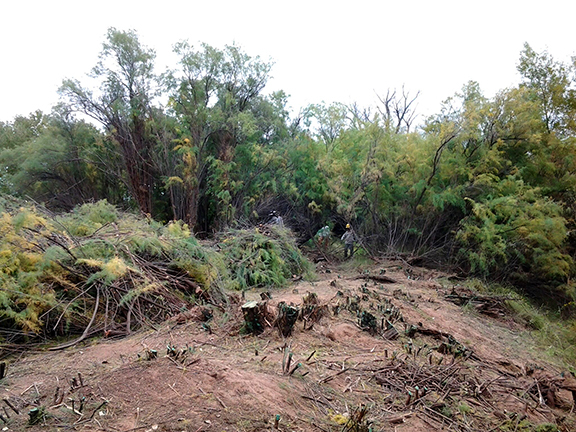 AZCC crews have been doing restoration work on the Verde River corridor every winter since VWRC’s inception. Kennedy first connected with nature as a child, hiking and camping in Arizona’s White Mountains. He was 19 years old and working as a mechanic when he joined AZCC six years ago. But then, he said, people start to re-establish a connection with nature that is within all of us. Kennedy describes this as a “soul connection”. Rivers in general have plenty to tell us. There are stories about ancient beginnings and bedrock, floods and fires, pollution, cycles of destruction and tenacious new life. But does the Verde have something to tell the veterans, tribal members and AZCC young people working along the banks this winter? 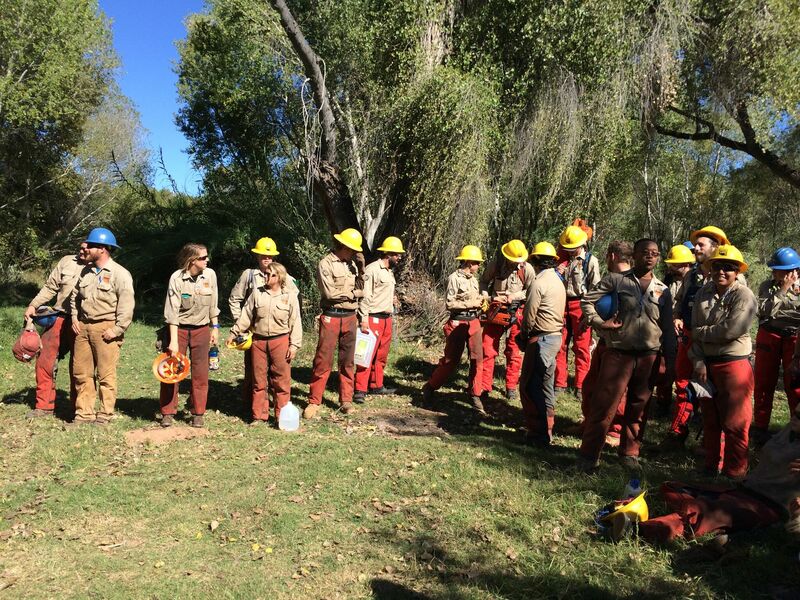 VWRC crews have treated invasive plants on more than 8,000 acres of riverside lands over the past 7 seasons, and monitored the new, green shoots of native plants finding a foothold again. Habitat restoration is a long-term commitment, but those 8,000 acres are one step closer to the Apache concept of “harmony” again. Crew members get hands-on training and work experience that can lead to other jobs and new beginnings. There’s the comradery that comes with working on a crew of like-minded people, and then there’s something harder to define. Does Apache “harmony” extend to crewmembers during their time on the Verde? In Jenise Rideout’s words, “They all love being out there on the river. There is an absolutely therapeutic value. Nature is… good for the soul”.